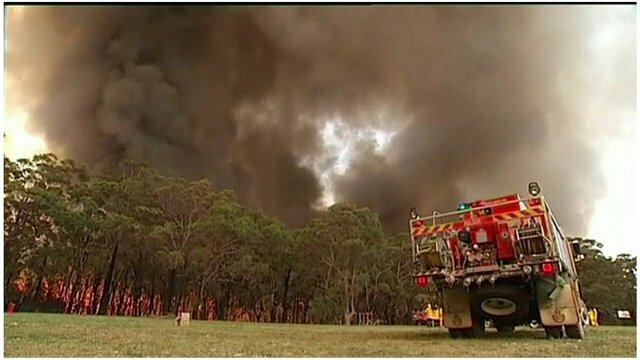 Fears Australia blazes could merge Jump to media player Firefighters in the Australian state of New South Wales are continuing to battle huge bushfires amid concerns the fires could merge to form a massive blaze. 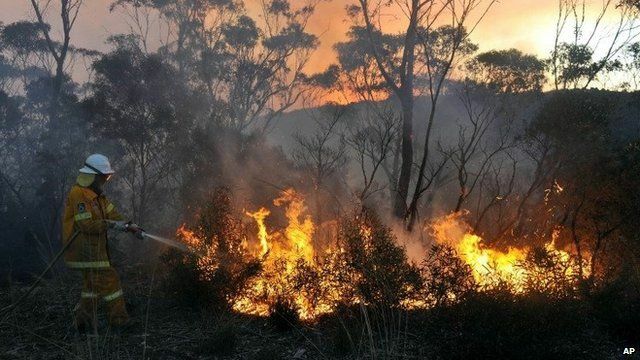 Australia declares fire emergency Jump to media player Australian officials have declared a state of emergency in New South Wales as bushfires continue to rage. Australian bushfires to worsen Jump to media player Hundreds of houses have been destroyed by the fires in the Blue Mountains near Sydney in Australia, with conditions said to be worsening on the coming days. 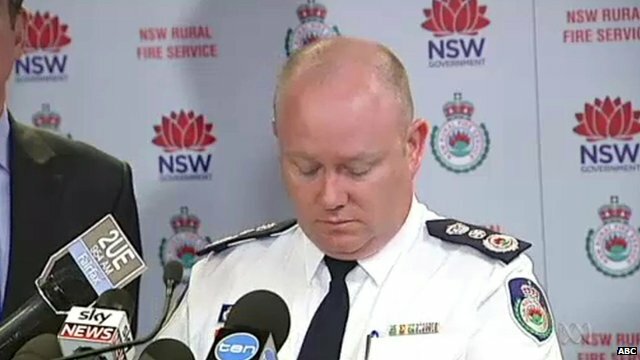 Fire chief breaks down over bushfires Jump to media player The Rural Fire Service chief for New South Wales, Australia, has broken down while describing the battle being fought against raging bushfires. 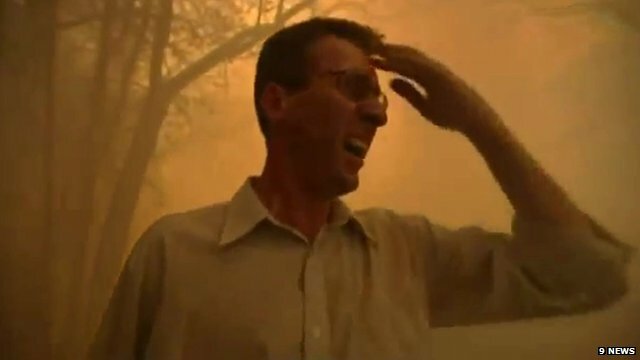 Reporter urges man to flee bushfires Jump to media player A man desperate to salvage possessions as bushfires closed in on his home in Springwood, Australia, has been forced to abandon his attempt by a news reporter. 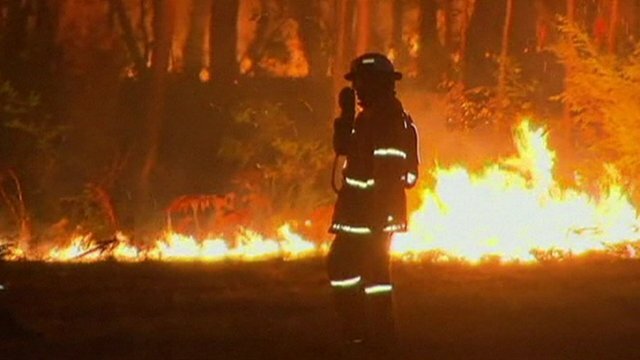 Man dies fighting Australia bushfires Jump to media player Bushfires raging across Australia have claimed at least one life and destroyed hundreds of homes. 'I knew my house was gone' Jump to media player Communities in Australia's Blue Mountains have been assessing the damage caused by bushfires across New South Wales. 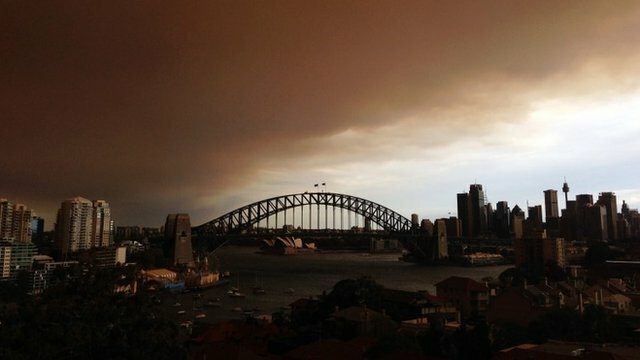 Time-lapse shows smoke engulf Sydney Jump to media player Time-lapse footage shows smoke engulfing the Sydney skyline, as bushfires rage across New South Wales. 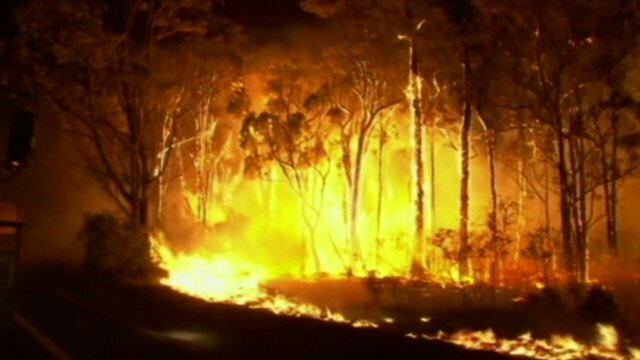 Firefighters in the Australian state of New South Wales are continuing to battle huge bushfires. There are now concerns the fires could merge to form a massive blaze. 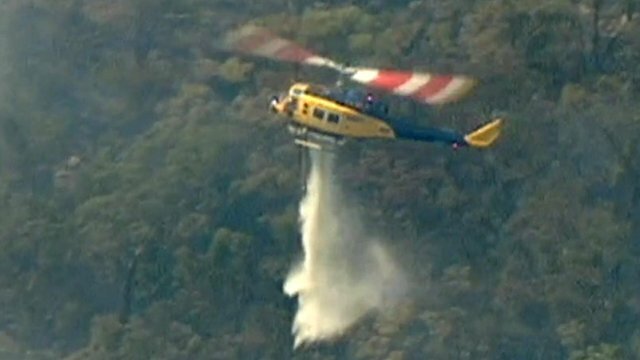 Three fires near Lithgow, a city by the Blue Mountains, are thought to be at risk of merging into one fire front. Jon Donnison reports from a meeting point where fire fighters are gathered, before heading into the mouth of the blaze.